For over three decades, our priority here at Critter Control® of Orlando has been to keep you and your property safe from the dangers of nuisance animals like squirrels, who often take up residence in commercial buildings in search of shelter. Our residential animal control services are highly touted, but many folks don’t realize that we are also the premier commercial squirrel removal service in Orlando. 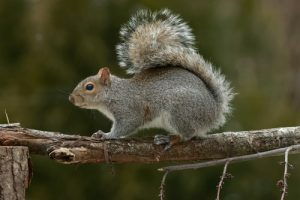 Instead of attempting to remove any nuisance squirrels on your own which puts you in danger of contracting a dangerous disease if you’re scratched or bitten, let the professionals here at Critter Control® help. Our squirrel removal experts have the tools and knowledge necessary to get the job done right the first time, keeping your business assets safe. For any questions about our commercial squirrel removal services or to schedule a business consultation, call us today at 407-295-7194.